Hey guys! 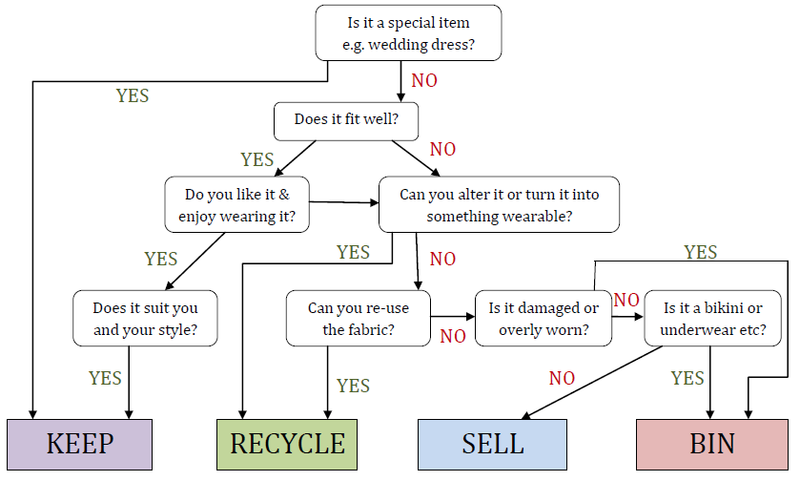 Day #2 of my guest posts is very exciting, I have Jodie from www.alajode.com who will be helping you sort out your wardrobe, she’s made such a helpful chart which I wish I had have used when I attempted sorting out my clothes a few weeks ago. easy and diving straight in will only make the task seem even more impossible. made it easier with a simple chart – all you have to do is follow it! pairs of shoes, then write them down somewhere visible and stick to them! enjoy the results of all your hard work! dealing with each pile separately, click here to browse the whole series. checked out my blog, à la Jode, but otherwise thank you for reading!